Australia-China Bilateral Relations: How Did We Get Here? With Australia-China bilateral relations at close to a 10-year low, the Turnbull government would do well to reflect on what the past year’s negative approach to this important relationship has achieved. When Malcolm Turnbull met Donald Trump in Washington last weekend, the US president had this to say about his country’s relationship with China: “[We] have developed a great relationship with China, probably closer than we’ve ever had. And my personal relationship…with President Xi is I think quite extraordinary. He’s somebody who I like and I think he likes me”. The US Department of Defense might have a different view. The many Washington-based think tanks—into which so many of Australia’s security commentators are networked—also have their perspectives. But the president himself was clear on how he saw things. The Australian prime minister was unable to match the president’s upbeat assessment; the reality of Australia-China bilateral relations is that they are at—or very close to—a decade low. Late last year, Angus Grigg, former China correspondent for the Australian Financial Review observed that neither the prime minister nor foreign minister had visited China in well over a year and that celebrations to mark the 45th anniversary of diplomatic relations were decidedly low key. He said this tells you “everything you need to know about the state of the diplomatic relationship”. It’s early days, but as far as I’m aware there haven’t been any ministerial or assistant ministerial visits this year. That said, Secretary of the Department of Foreign Affairs and Trade Frances Adamson said this week that some travel may have been delayed simply because of a busy Chinese political calendar and Spring Festival celebrations. So far the economic relationship has defied any fracture in the diplomatic one; Australian exports to China last year hit a record high at more than $115 billion. Whether this can be sustained is an open question. It’s worth reviewing how we got to this point. The Australian government’s tilt on China first became clear in March last year when Minister for Foreign Affairs Julie Bishop delivered the Fullerton lecture in Singapore. She said that China could not be trusted to resolve its disagreements in accordance with international law and rules because it was not a democracy. She also said it would be unable to reach its economic potential for the same reason. No other US ally made such claims. 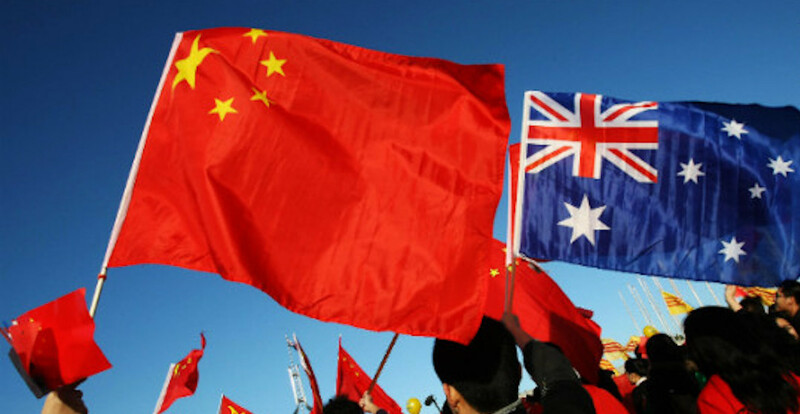 At the same time the rhetoric was being ratcheted up, media reports alleging extensive and covert Chinese government interference in Australian society bubbled away. Still, when the Australian Foreign Policy White Paper was released in November, while China complained about the position it took on the South China Sea, it otherwise accepted the document as providing an “objective look at the China Australia relationship”. It was in December that things deteriorated sharply. On 5 December at a press conference introducing Australian government plans to upgrade foreign interference laws, the prime minister chose to single out China and describe media reports of Chinese influence as “disturbing”. He added that he and his colleagues took these reports “very seriously”. The next day the Chinese embassy in Australia responded that “some Australian politicians” had made “irresponsible remarks” and that they “categorically reject[ed]” the allegations. Rather than stop there, on 7 December Malcolm Turnbull chose to repeat his earlier statement, this time on the floor of the parliament, and added that Australians had “stood up” just as Chinese leader Mao Zedong is said to have declared that the Chinese people had done in 1949. Of course, in China’s case it was after 100 years of foreign occupation and just a decade after hundreds of thousands of Chinese had been slaughtered on home soil by Japanese invaders. There’s an important point to make here: China’s objections were not about Australia beefing up its foreign interference laws. China understands full well that Australia has the sovereign right to introduce any new laws it sees fit provided they are also consistent with its international obligations. 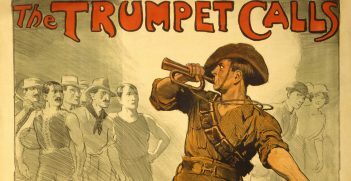 Indeed, an editorial appearing in the English language flagship China Daily on 5 December began by acknowledging that it was “not inappropriate for Australia to ban foreign political donations.” Objections to the proposed foreign interference laws have in fact come from the US Chamber of Commerce and Australian media, education and charity organisations. What China has taken exception to is being singled out, as well as the prime minister lending his authority, without any qualification, to media reports, some of which were based on a flimsy evidence base. 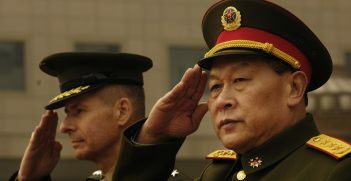 One might contend that the Chinese government is being overly sensitive to rhetoric. Perhaps. But one wonders what the reaction would be in Australia if the direction of rhetoric was reversed; even opinion pieces appearing in the tabloid Global Times are guaranteed to send many Australian commentators into a tizzy. There have been some recent signs of a correction. In January, Julie Bishop slapped down a junior minister’s comments that China’s aid in the Pacific was funding “useless buildings” and “white elephants”. Moreover, both the prime minister and foreign minister have distanced themselves from the position of the US defence and intelligence agencies that China is to be regarded as a “threat”. But inconsistencies have persisted. Last October, Malcolm Turnbull said that Australia was not inclined to sign a memorandum of understanding (MOU) with China outlining cooperation on the infrastructure-focused Belt and Road Initiative because “we prefer to focus on specifics, on specific projects and investments”. Yet last weekend in Washington he signed an MOU with the US to “support high-quality infrastructure in Australia, the United States and Indo-Pacific region”: no specifics, no projects, no investments. The China-Australia Free Trade Agreement, signed at the end of 2015, commits both countries to reviewing market access arrangements across a host of sectors, as well as the framework covering investment, within three years. This means that right now we should have our sleeves rolled up and be getting down to hard work if these economic opportunities are to be realised. Questions will soon be asked regarding when the annual leaders meeting will be held. Ditto the high-level strategic dialogues covering economic and foreign relations. Will there be an Australia Week in China in 2018? The equivalent in America, G’Day USA, has a rolling calendar of events already locked in through until July. With the value of Australian exports to China being more than five times greater than to the US last year, which does the government consider a higher priority? The Turnbull government would do well to reflect on what the negative approach to Australia-China bilateral relations over the past year has actually achieved. Then take a leaf out of President Trump’s book and start talking the bilateral relationship up. And finally, actively seek out areas for constructive engagement, with the BRI being an obvious possibility. Better that a reset comes late rather than never. Dr James Laurenceson is deputy director of the Australia-China Institute at the University of Technology Sydney. This is based on remarks delivered to AIIA NSW on 27 February 2018. Why is Duterte's No-Show at the ASEAN-Australia Summit Significant? 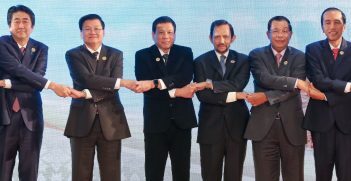 The absence of Philippine President Rodrigo Duterte from this weekend's ASEAN-Australia summit presents a missed opportunity not just for the Philippines, but for ASEAN as a whole.